What was once the biggest mall in the world is turning into a big pile of rubble. Say good bye to the Randall Park Mall on the edge of Cleveland. 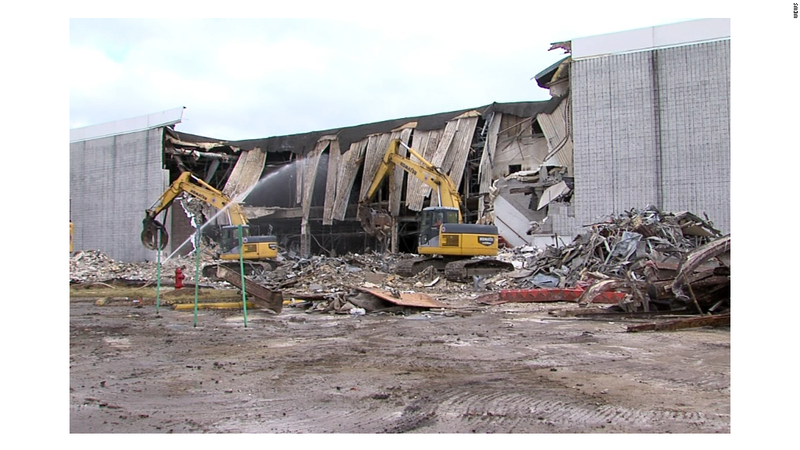 The demolition crew started working Monday on what was billed as the biggest shopping center in the world back when it was built in 1976. It is a potent symbol of the end of a different era. Once the centers of American retail and culture, many malls have slipped into decline, and even ruin. The trend is especially true for malls that once served the working class people in areas that have slipped into economic despair. Not all malls are dying. In fact, many luxury malls are thriving, especially in rich urban centers of New York and Los Angeles. 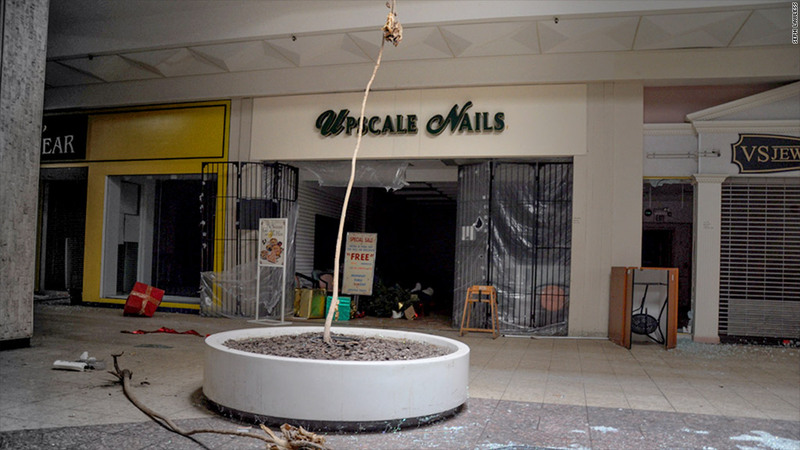 Randall Park Mall (pictured here) has been a corpse for years after being abandoned in the midst of the Great Recession in 2009. 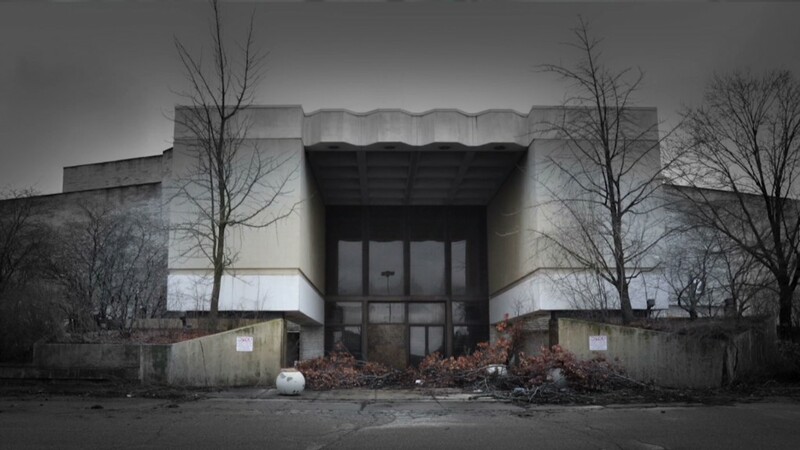 Dead malls like this one dot the landscape in less fortunate regions of Ohio and Michigan, according to Seph Lawless, a photographer who captured Randall Park Mall's decayed interior in his book, "Black Friday." The Randall Park Mall is owned by Industrial Realty Group in Torrance, California. Its president, Stuart Lichter, plans to turn what remains of the mall into an industrial park. North Randall Mayor David Smith did not respond to an email from CNNMoney.